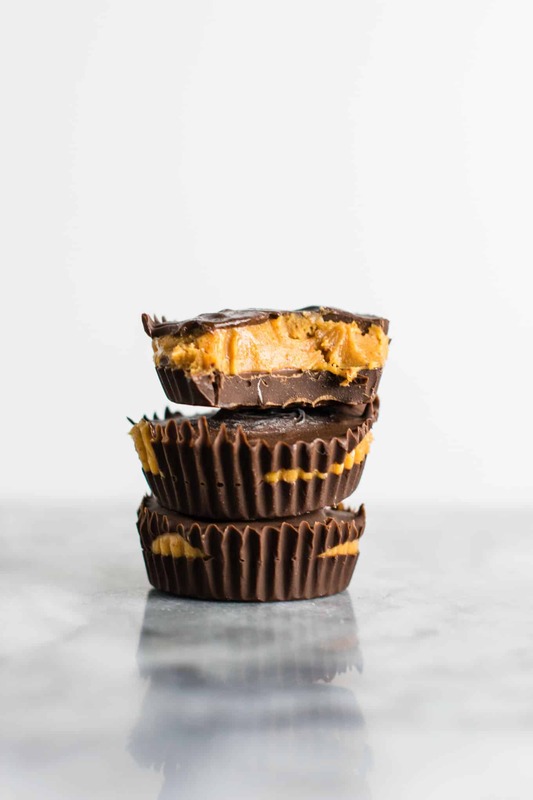 Vegan Peanut Butter Cups Recipe - better than Reese's! 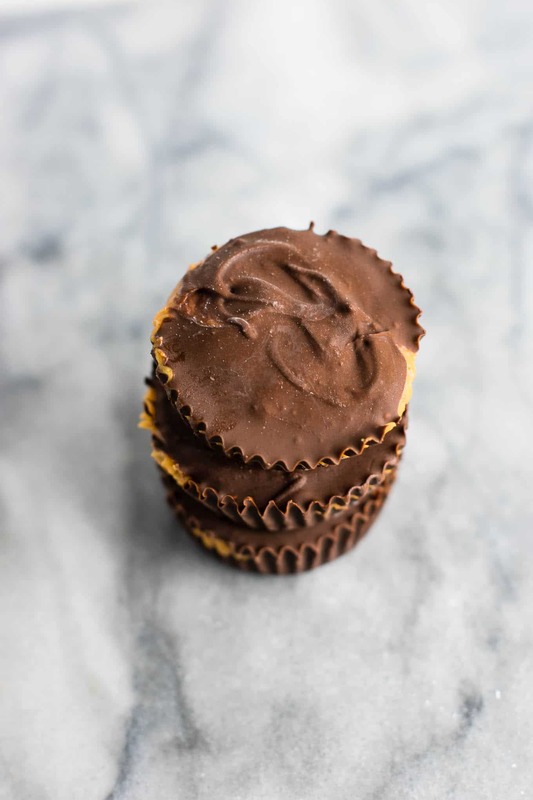 These Vegan Peanut Butter Cups are made with simple ingredients and taste better than Reese’s! 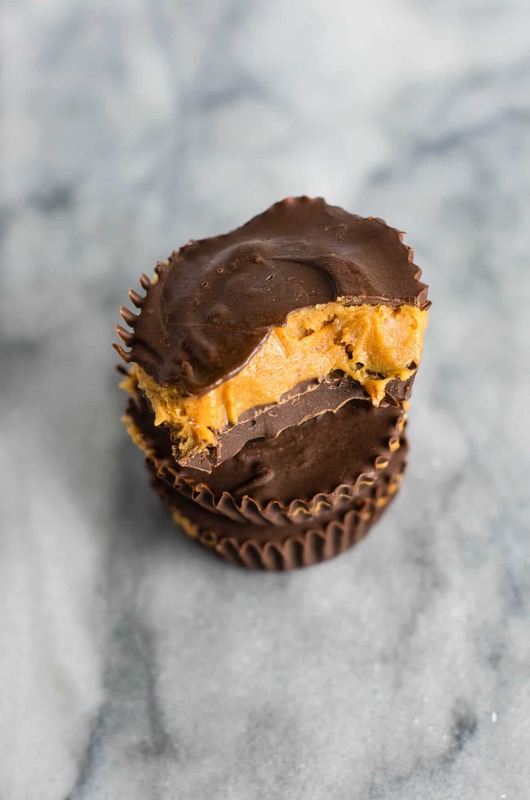 These vegan peanut butter cups are one of my favorite no bake desserts. 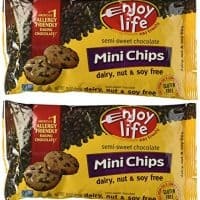 They are naturally gluten free, dairy free, and come together in minutes! 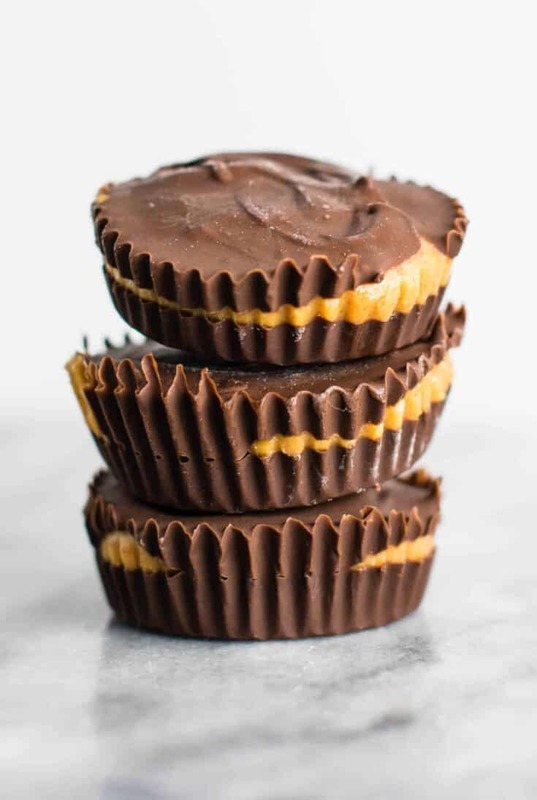 Growing up, my absolute favorite candy was Reese’s cups. Forget skittles and starbursts, I was always all about that chocolate + peanut butter! 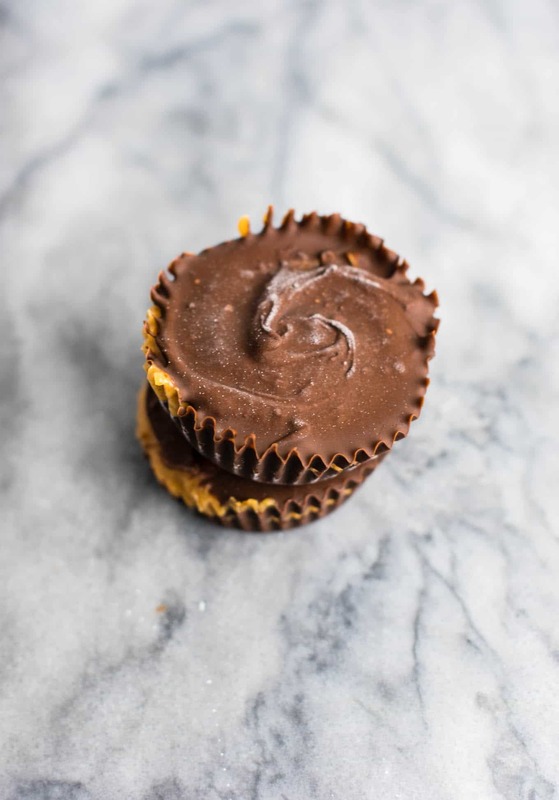 These chocolate peanut butter cups are so simple to make. 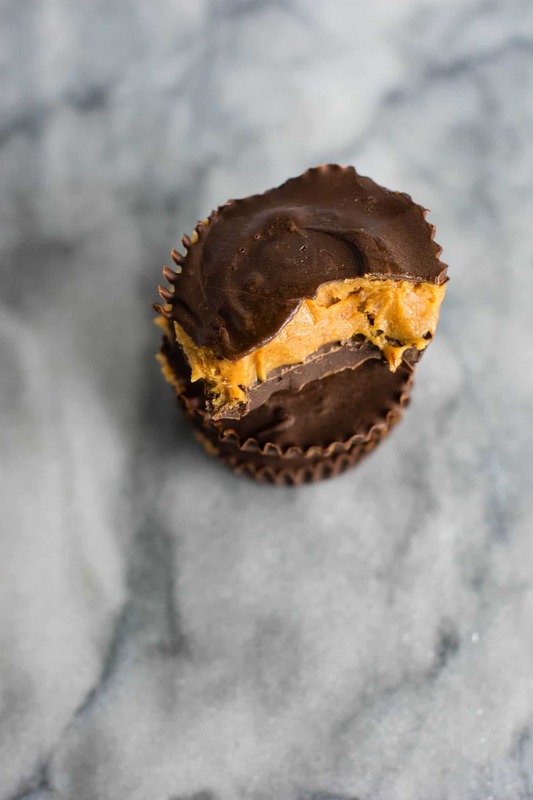 They are similar to my healthy no bake peanut butter truffles, but in reese’s cup form. 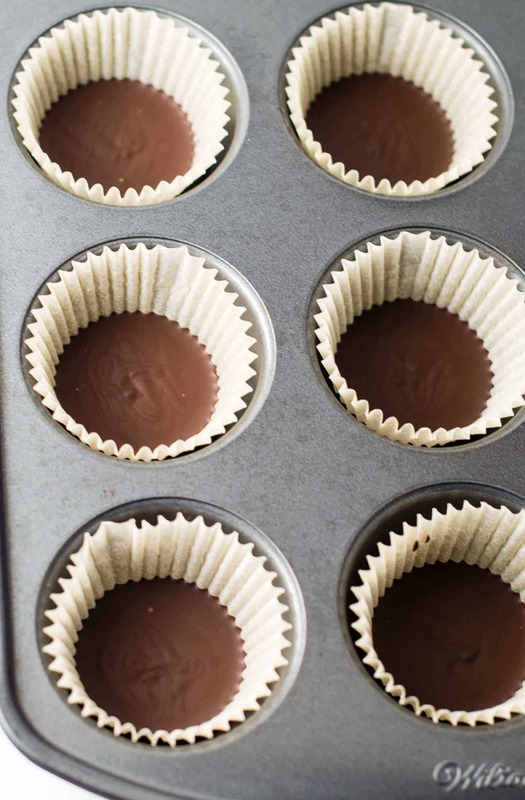 If you gave me a choice between Reese’s cups and these homemade ones, I would pick the homemade ones every time! The flavor just cannot even compare. 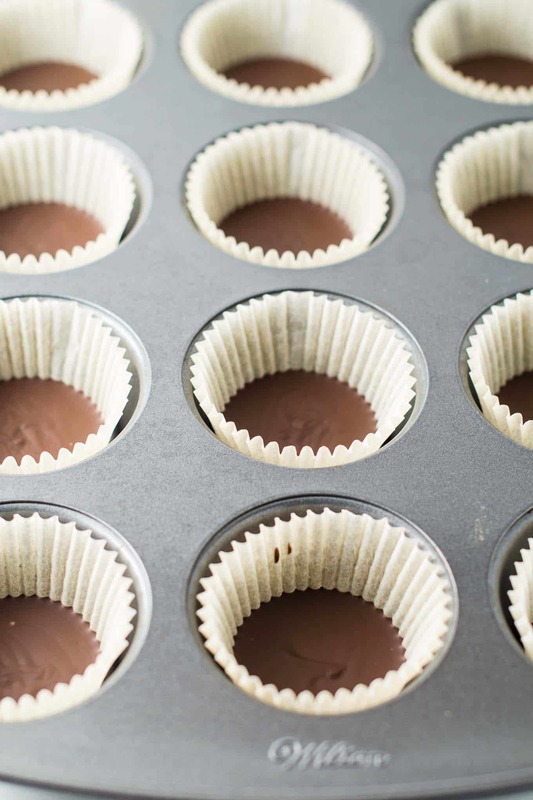 No fancy ingredients or equipment required to make these no bake cups. All you need is a muffin tin with liners, and a few simple ingredients! First, you will melt your chocolate chips and coconut oil. Stir in the salt and vanilla, then measure out a layer into each muffin tin. The first layer of chocolate will need to freeze for about 10 minutes, or until solid. 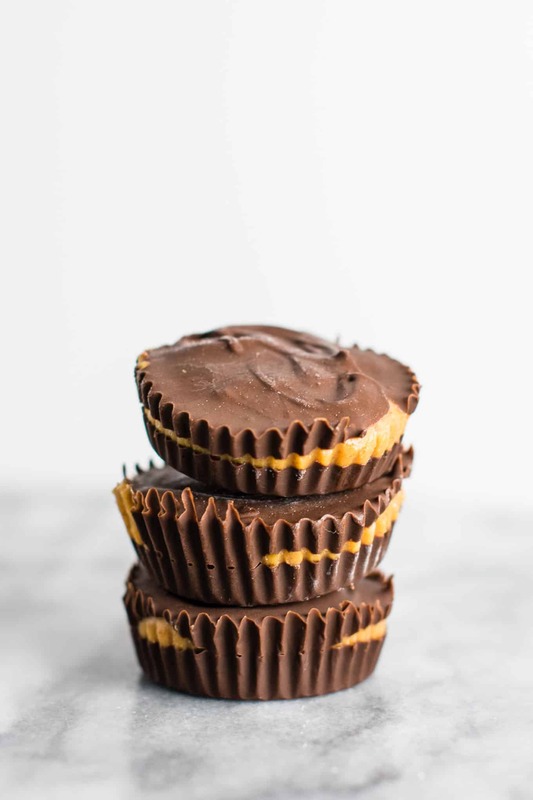 Once you pop them in the freezer, that gives you the perfect amount of time to make the peanut butter filling while the chocolate shell hardens. 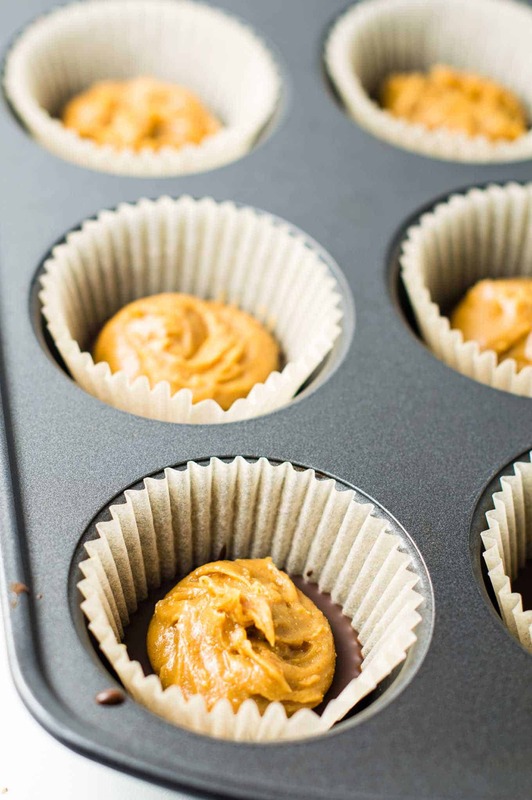 Whisk together peanut butter, maple syrup, salt, and coconut palm sugar until combined. 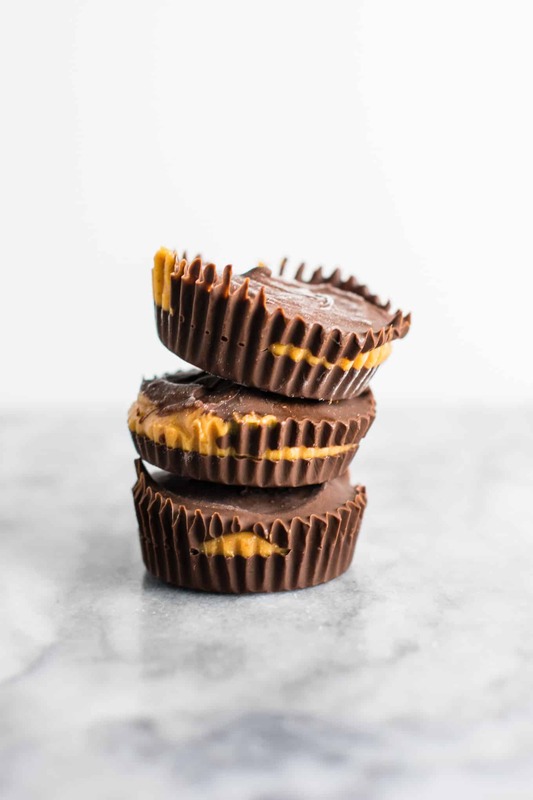 Grab a spoon and get ready for adding the next part of your homemade Reese’s cups. 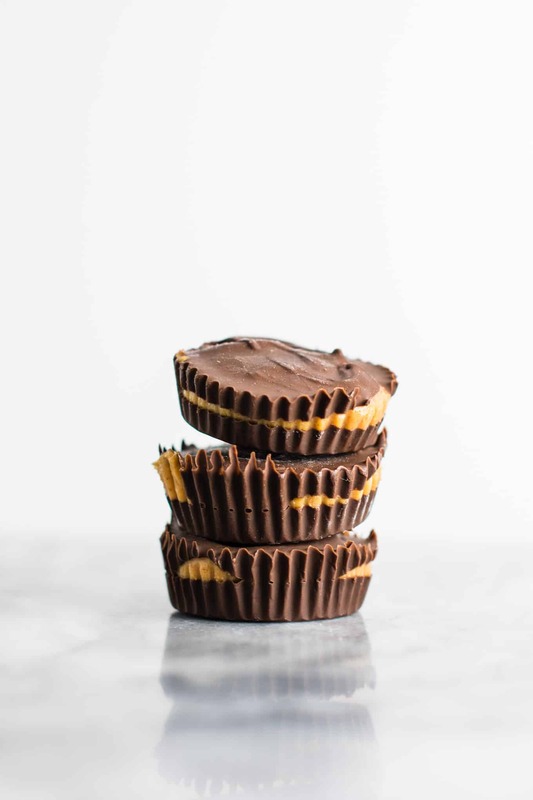 Distribute the peanut butter filling evenly into the 12 muffin cups, then distribute the remaining chocolate over the tops. So easy and really fun to make! Kids would love helping to make these too. These look impressive, but are really simple and not time consuming at all. These last approximately a day in my house if I’m lucky! You might want to make a double batch if you want any leftover! The peanut butter filling is so delicious I could eat it off of a spoon! 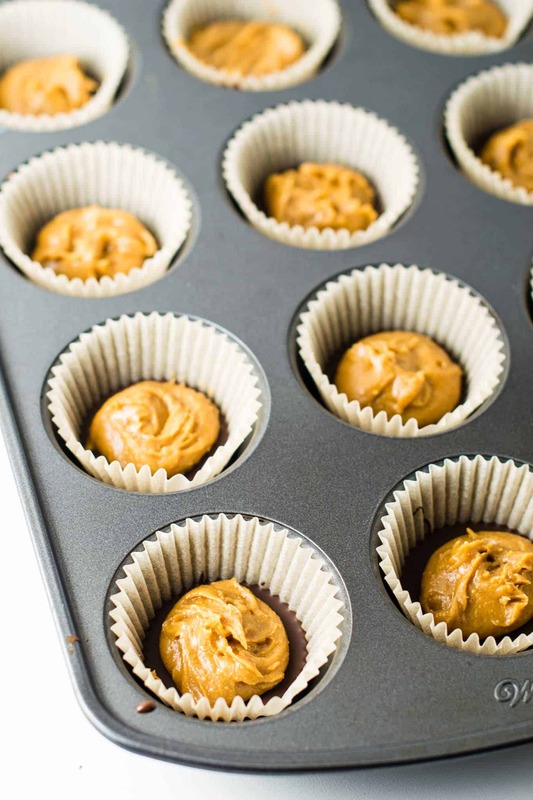 One thing to note is that this recipe uses no sugar added peanut butter. 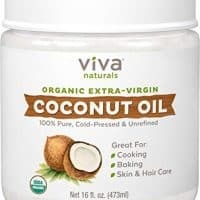 I prefer to buy it this way as it is a lot healthier. If you are looking for a peanut butter that is all natural, just look to be sure the only ingredients on the label are peanuts and salt. The longer you freeze these, the creamier the peanut butter filling becomes. It all depends on how soft you like them! The chocolate shell gets nice and hard, so you might want to store these in the fridge once set, or remove from the freezer for a minute or two before eating. These would be so fun to chop up and make your own reese’s chips of sort. I would stir them into ice cream with some chocolate syrup for reese’s ice cream! I personally like mine from the freezer! Something about that cold and creamy is just so good. Gahhh, do these not look amazing? These have been a favorite of mine over the years, which is why I decided to re photograph them and share them again for you guys today. I originally published this recipe in 2015 and every time I make them they are devoured! They are perfect every time. That peanut butter filling tho. If I had my choice, I would have 100 of these in my freezer for every day chocolate emergencies. 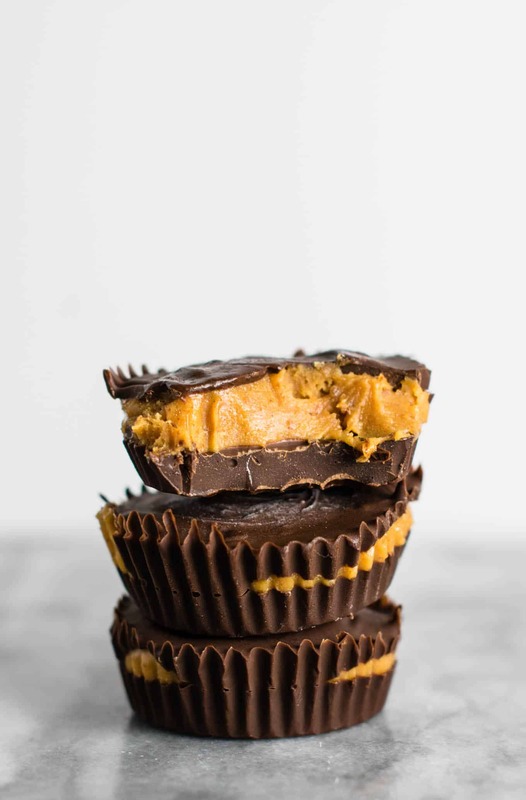 I have tried several peanut butter cups that are store bought, and none can even compare to these. 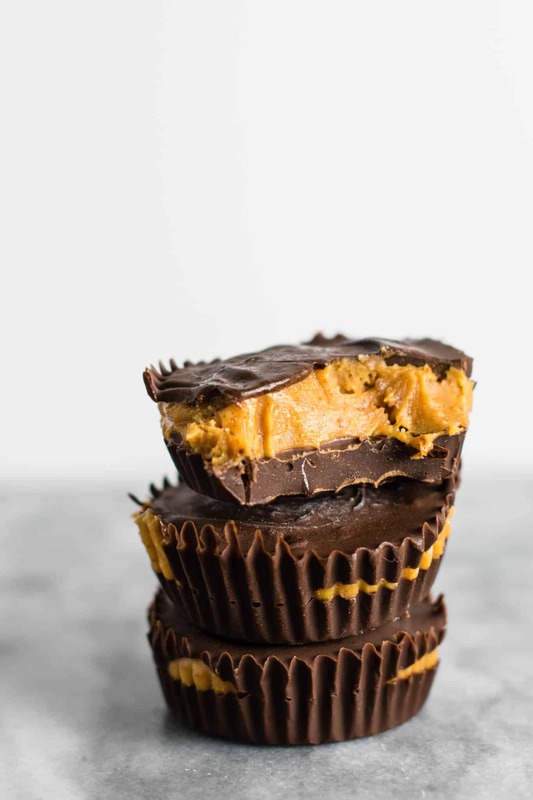 If you love chocolate + peanut butter, you will DIE over these. Looking for more healthy desserts? Saving this recipe for later? Click HERE to Pin it! Make these and watch them be devoured! 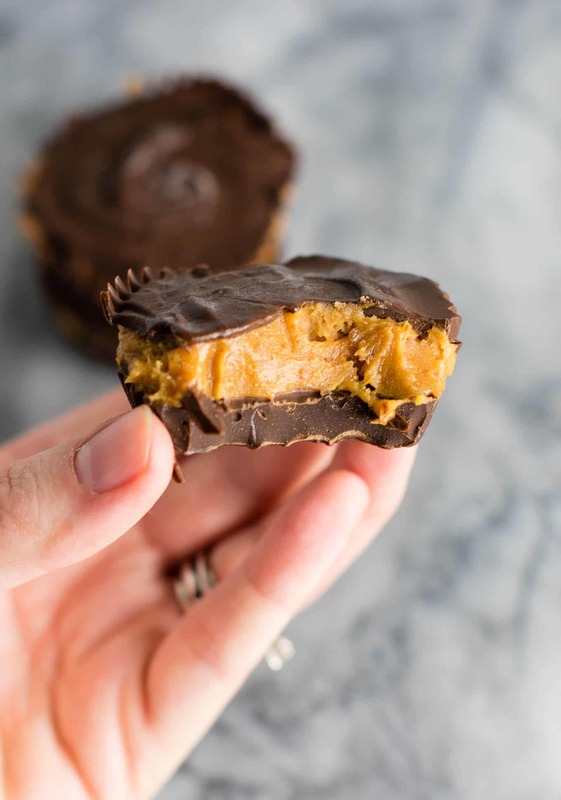 These vegan peanut butter cups taste better than Reese's and are so easy to make! Thank you for this amazing recipe! 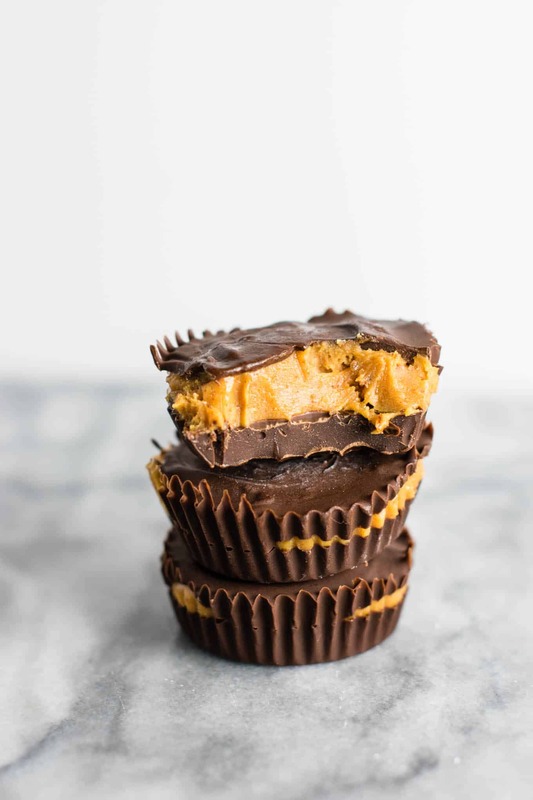 I made these using tiny cupcake liners and molds for bite sized candies for the end of my child’s peanut allergy challenge since Reece’s contain dairy (another serious allergy). Absolutely delicious and very easy to make. And she passed her challenge so we can all eat this recipe ALL the time! Mel, that is fantastic news! I am so glad she is able to have peanuts again! I’m so happy you enjoyed the recipe, love the idea of making them in mini cupcake liners! Can you use vegan carob chips ? You might be able to, but if they are not sweet then it would make a difference in flavor.